I enjoyed visiting your blog. I came via Silvina Days. Your paintings gave me some smile and I like the way they are painted. Diane,I LOVE this painting. 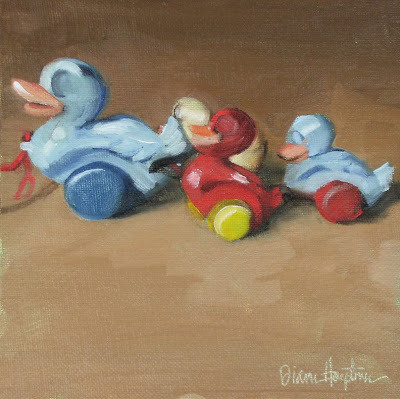 I like your whimsical subject matter, and your painting style seems to match your cheery subjects. You've been busy and what wonderful results!